Barb Hurst, Manager, Project Portfolio, Mutual of Omaha Insurance Company, will help you uncover secrets on how to plan, communicate and rollout portfolio management as a valuable service in the real world (including the best day/time to present a new idea and influencing the influencers. Uncover the three essential elements of an effective leadership brand and how you can scale up your brand and advance your career with best practices from Jo Miller, Founding Editor, BeLeaderly.com, CEO, Women's Leadership Coaching, Inc.
Drive project success through active risk management and get a better understanding of the relationship between project risk management and project success. Plus, Scott Reynolds, VP Senior Technology Project Manager, Bank of America will also share how you can increase your projects probability of success. Project Managers will come together with Lou Russell, CEO & Learning Faciiliator, Russell Martin & Associates to experience project collaboration and competition in real time. You'll learn how to complete difficult projects with and in spite of other teams, just like in the real world. A career in project management can take on many paths and is dependent on an individual's goals, interests and limitations. Join Rick Radice, VP, Federal Regulatory Exam Liaison, Prudential Financial as he shares different PM career paths and how to select what's right for you. CIBC Bank's Lindsey-Ann DePeri leads you through the journey of creating a CoE for Project Management, including establishing a value proposition, aligning staff and projects into a shared services portfolio, application of best practices and more. One of last year's top rated speakers, William Greenwald, Founder & Chief Neuroleaderologist, Windsor Leadership Group, returns to the PW&WCBA with the goal of helping you construct a great story while holding mastery of the stage. 3D data exploration is a new and promising field. Igor Peev, Senior Program Manager, Power Map for Excel, Microsoft Corporation will talk about how interacting and animating the data gives the user additional insights which are not available in the traditional methods of exploration. Forrester Research examines new roles required to make a transition to Agile, address limitations that require a hybrid approach and talk about shifts that need to be made in budgeting and planning. Fredrick Redd, CEO, ASSAI Management Consulting reveals leadership strategies to keep pace with the rate of change that is ideal for leading projects, programs and organizations. Uncover the Promise of a PM/BA Partnership at PW&WCBA, Save $200 Today! The challenge, for both project managers and business analysts, now lies in the collaboration between the teams throughout the project phases. Are you prepared to managing complex projects with your peers? PW&WCBA arms you with the skills you need to work across the project lines. · Plus, don't miss Kathleen Hass, Principal Consultant, Kathleen Hass & Associates as she explores the New Project Leadership Model: The Promise of the PM/BA Partnership in a Complex World. Change is inevitable, that's a fact. And it's never easy. But if there's one thing we can learn in today's project landscape, it's that not adapting to change isn't even an option. Project timelines are accelerating at an unprecedented pace and you're expected to work with brand new tools and solutions that weren't even available a few years ago - how are you and your teams coping? Farm Credit Mid-America's Vice President of Process Improvement & Execution, Chuck Millhollan will lead you through a multi-faceted case study which incorporates strategic portfolio management, the practical application of Lean concepts in a service organization, a complex program impacting every employee in one of the largest associations in the Farm Credit System, and a multi-year change management initiative on the organization's Journey to 2020. Special attention is given to the practical tools and tactics the Farm Credit Mid-America teams have used to enhance delivery and change management. • Myles Miller, CEO & Founder, LeadUp discussing Change Agents - Are You Ready for Change? Become a more effective project manager or business analyst at ProjectWorld & World Congress for Business Analysts this fall. Hear how to elevate your skillset, deploy technical innovation and collaborate across functions at PW&WCBA, designed to deliver the skills and knowledge you need to take charge, reduce risk and deliver results in a changing work environment. Plus, Earn Up to 36 PDUs/CDUs in Just 3 Days! 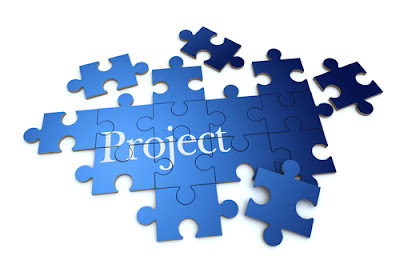 Projects are formulated and produced by organizations to gain profit and expand the organization. 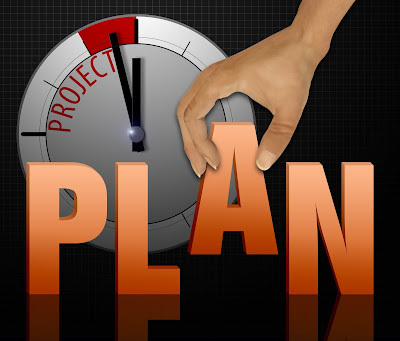 Every project formulated, whether it is big or small, needs some form of planning because without planning, a project could result in failure. Fortunately, there is a way to go about that business of creating an outline for a project - Project Management Methodology (PM). Today, there are various PM methodologies and author Moira Alexander addresses a few very well in her recent article, “How to Pick a Project Management Methodology”. Specifically, three methodologies that stand out from the rest are Agile, Waterfall, and Scrum. Agile: Alexander writes, “The Agile Methodology was developed for projects requiring significant flexibility and speed… Agile may be best-suited for projects requiring less control and real-time communication within self-motivated team settings.” So, a possible recommendation would be an open space office where communication is faster paced and thoughts are able to exchange faster. Waterfall: “Used across many industries, most commonly in software development. Waterfall allows for increased control throughout each phase but can be highly inflexible if scope changes may be anticipated later,” according to Alexander. The Waterfall methodology is used for more complex projects being as there is a need for more control throughout to handle the complexity. Scrum: Scrum is an agile development framework that is more so used for software development but is now generally used in complex projects. In addition, there are many other PM Methodologies such as Critical Chain Project Management (CCPM), Six Sigma, Crystal, or Feature Driven Development (FDD). This amount of various methodologies helps organizations settle on a certain way of performing a project whether it is complex or simple. Every methodology works in a business, some work better than in others depending on the situation and if the situation does not always fit the project methodologies framework it can lead to undesirable results. Nevertheless, no project is the “best of the best” and Alexander explains what to look for in a methodology. “When evaluating methodologies, these are only a few of the many factors that should be carefully considered: risks, complexity, constraints, project size, and cost…” Those are some of the factors to consider when looking at different project management methodologies. In the end, what needs to be focused on is how projects improve or better the whole organization’s objectives. Once you determine the success or failure of those goals, look for the best methodologies that suits your organization’s needs. Is a project management course right for me? Join us in October and you'll walk away with tangible lessons to implement immediately upon returning to the office, increasing your value to the organization. Though lean project management isn't new, it can make or break the success of your projects. Canadian Blood Services has recently launched a series of Lean strategies into their day-to-day operations resulting in new process efficiencies, improved service for consumers and $125 million in savings. When the project team at Canadian Blood Services set out to establish a national, public cord blood bank, they knew it would be a long, complex project involving many stakeholders. And, as the marathon progressed, it became clear that any challenge could be overcome, even a mountain. Learn how the project team collaborated with stakeholders and managed change/expectations, using the phase-gate project model, and yes, even climbed a mountain. The key motivation for building a national, public cord blood bank is to provide stem cell transplant opportunities for both Canadian and international patients, to help save more lives. In addition to Todd's session, hear from PM & BA leaders from PMI, Verizon, Starbucks, Farm Credit Mid-America, Daimler Trucks NA, Associated Bank, Boeing and more. It's the can't miss event for your project management and business analysis needs. Don’t forget, PW&WCBA EAST delivers 24PDU/CDUs. Earn a complimentary all-access pass to ProjectWorld & World Congress for Business Analysts East 2015 by serving as a Guest Blogger at the event. As a Guest Blogger, you’ll have access to PW&WCBA's comprehensive agenda attracting the best in insights from around the world, right in Lake Buena Vista, Florida this March. You'll get a free pass to the annual PW&WCBA event plus exclusive access to a networking community and on-demand webinars, to help you grow and learn throughout the year. Guest Blogger responsibilities will include submitting one post per week to the PW&WCBA blog between now and the conference and attending specifically assigned sessions at the event and blogging live or same day. Apply today by sending your name, title, company, short biography and links to your blog or writing samples, along with a few sentences about why we should choose you to be our 2015 Guest Blogger to Amanda Ciccatelli at aciccatelli@iirusa.com. We will review your submission and contact the chosen Guest Bloggers directly with more details. We hope to have you join us in Orlando! What Does the Digital Economy Mean for PMs & BAs? The digital driven economy has not only altered the way we manage projects and programs, it has fundamentally changed the way we conduct business across all industries and sectors and the way we live. In today's economy, any project, program or organization whose internal rate of change is slower than the external rate of change will be headed for difficulty. Project managers and business analysts are our leaders for tomorrow - do you have the skills necessary to Manage the Rate of Change in a Digital Driven Economy? Fredrick Redd, former Director, Project Management Office, Port Authority & New Jersey will take the stage at PW&WCBA to share the principles and strategies you need to keep pace with the rate of change that is ideal for leading projects, programs and organizations. Plus, check out new sessions from Verizon (Risk Management on the Edge: Tips, Tools & Techniques) and Vertex, Inc. (Process Improvement Insights Gained while Watching Reality Television). We hope to see you in Orlando as we help you prepare for the digital driven economy. P.S. - Are you a PMI or IIBA member? You can save an additional 20% off your conference registration. Contact Kacey Anderson at kanderson@iirusa.com for more information. Project managers often have the difficult job of dealing with projects having inter-team disputes, being over budget and missing deadlines. However being able to avoid problems and potential pitfalls before they even arise is something that can put the better project managers head and shoulders above the rest. A recent article by CIO Magazine has pinpointed key areas and scenarios that may arise for project managers and how best to deal with them. The key elements that are prevalent are communication and proactivity. By keeping a stream of communication between manager and team helps to check in on progress in order to make sure problems aren’t a surprise and can keep the team focused and happy. By building a good relationship with the team will create trust and increase productivity, as workers are more likely to put in more effort for a manager they trust and enjoy working with. Communication with higher management is also key for keeping a strong team; by being pro-active and making sure you know if a key member of your team could be taken away for something else could be the key to keeping them. A good project manager will be able to show facts and data that can back up the need for the member which can be the way to keep them. By showing in data form that without a certain member a project could potentially go over the deadline day or the time and effort to train a new member could push the budget up past the quota creates a much stronger case for keeping the team intact. If the communication with higher management is there it can give time to gather evidence instead of arguing a case with nothing to back up the claims. The proactivity of pre-empting issues like that can be useful for other potential project setbacks. Communicating with the team and making sure they understand their specific roles and setting a number of mini deadlines will keep the project on track. Setting specific roles for each member keeps the team from potentially overlapping and doing the same thing twice which is inefficient. By setting early smaller deadlines can mean if there are problems along the way they can be dealt with quickly to make sure they overall deadline is kept to. The final point on communication is that sometimes members may be in different countries or time zones and have difficulty accessing each other’s work. However new technology such as EMC Syncplicity allow members to be able to collaborate easily to share their work with each other to make sure the project keeps flowing. The project manager is not just there to set schedules and crack the whip; they are there to keep the team together and on course by creating an atmosphere of trust and keeping good inter-team communication. Pro-activity is also critical for anticipating and averting potential difficulties that may arise in the project. These assets are paramount for a project manager to succeed and move forward in their company and gain the trust of peers and management. It's that time of year again, the holidays have passed and we're in the middle of those dreaded winter months. We've got the remedy to get you out of that cold weather rut. ProjectWorld & World Congress for Business Analysts, the premier conference for advancing collaboration through practice, is back in Orlando this March. Continue your professional and personal development (with the added benefit of warm weather & sun!) with best practices and lessons learned from leading PMs & BAs from Starbucks, The Boeing Company, Daimler Trucks North America, Canadian Blood Services and more. Las Vegas is a city that evokes a very specific public perception. By helping to revitalize a Downtown neighborhood that has been in a state of decline for many years, The Downtown Project is helping to redefine the image of the city itself. Rather than a place where what "happens here stays here" the company is working to create an environment of entrepreneurship, learning, collaboration, innovation and creativity that it hopes will inspire communities around the world. Kim Schaefer, Director of Communications, The Downtown Project will share what it takes to not only manage such a project, but also how to lead the various teams in making a new Downtown Las Vegas. Join us at Disney's Grand Floridian Resort in Orlando to advance your collaboration, leadership, and project management & business analysis skills. ESI International, a project management training company, recently released its top 10 trends in project management for 2015. This year’s trends reveal that project managers (PMs) will be impacted by many changes this year including more hybrid environments, an increasing demand for talent management, and a growing need to align project outcomes with organizational strategy. In 2015, the PM’s role will continue to evolve, according ESI VP of Marketing and Strategic Intelligence Mark Bashrum. Improving interpersonal skills, learning the discipline of strategic execution, and becoming well versed in change management practices should be on every PM’s list of New Year’s resolutions. Lofty Expectations: PMs need to become adept at managing gaps between the constraints of cloud-based platforms and the business’ expectations. Out-of-Whack: Talent management within the PM community comes back into focus. Fuel for the Hybrid: As the pace of change continues to accelerate, hybrid project methods will become the norm. A Day Late and a Dollar Short: The ability to find and hire top PM talent is dwindling. Bottom’s Up: Organizations must build bottom-up processes to link project outcomes to organizational strategy. Ignore Them at Your Own Peril: Project managers will continue to be ignored and not get the coaching and mentoring they are screaming for. Run! : Project managers continue to sacrifice project transparency as they flee from conflict and avoid difficult conversations. Change is Coming: The disciplines of change management and project management continue to merge as PMs become responsible for delivering project and business outcomes. Knocking at the Door: Project management and business strategy better align to the benefit of the organization. Culture Shock: Organizational culture becomes a bigger consideration in risk management practices. Due to overwhelming demand, we're happy to announce ProjectWorld & World Congress for Business Analysts will return to the East Coast in March. Join us at Disney's Grand Floridian Resort in Orlando, March 23-24, 2015. The 2015 program brings you some of the best presentations from the Seattle conference, plus new and exciting best practices and case studies from the project trenches. Designed for all training levels, PW&WCBA boasts a robust agenda and most importantly, delivers tangible lessons you can implement as soon as you return to the office. Plus, new this year, we're leaving sessions open to bring you the latest in project management and business analysis! We hope to see you in Orlando as we accelerate development at the rate of change.